Welcome to Sterling Breeze! Emerald Coast by Owner is proud to offer you a large variety of elegant vacation rental properties all throughout this beautiful condominium complex.Condos here range from 1-3 bedrooms, all consisting of a beachfront view, full kitchen, balcony that comes with a gas grill, washer and dryer, flat screen TV's and a jacuzzi! The complex overall offers you a wine bar on the poolside, infinity pool, hot tub, spa, fitness center, activity room, snack and grill along the beachside, a fire pit and Wi-Fi! Why wouldn't you stay here All of the amenities isn't even the half of it! Sterling Breeze is within walking distance to Pier Park, where you can shop or eat at the hundreds of stores they have to offer there! Other than that there' still plenty of fun attractions and activities for you to try. Some common things to do include boat tours, jet ski rentals, golfing, parasailing, swimming with dolphins, deep sea fishing, paddle boarding, water parks, state parks, Ripley's Believe It or Not! Museum and so much more! 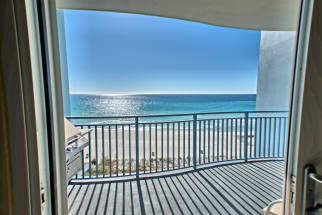 Browse our listings in Sterling Breeze Panama City Beach below. 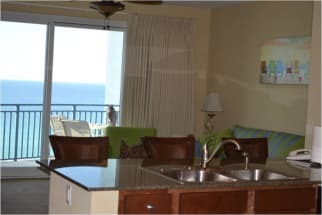 When you book with Emerald Coast by Owner, we make it easy for you to contact the property owners or managers directly. Hit the email owner button or refer to the phone number that is found on each listing to contact the property owner or manager about booking your next Sterling Breeze vacation!